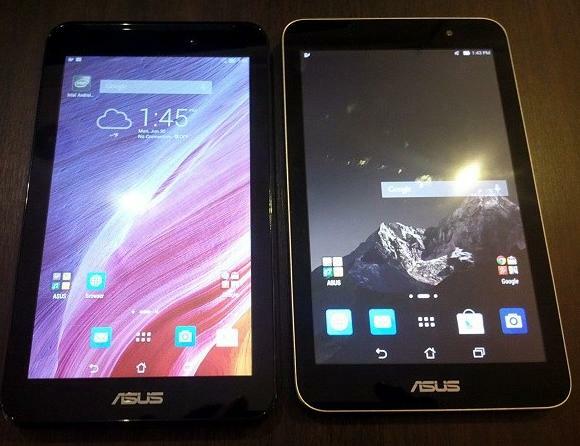 Asus has launched two tablets in India, the Fonepad 7 (FE171CG) - which was officially listed in January - and the MeMO Pad 8 (ME581CL) - which was announced during Compu-tex 2014. This type of gadget builds up with high technique and mobility. Price of Asus Fonepad 7 (FE171CG) IS Rs. 10,999 and the Asus Memo pad 8 (E581CL) is Rs. 19,999. The Asus Fonepad 7 (FE171CG) is a dual-SIM (GSM+GSM) voice-calling tablet that runs Android 4.4 KitKat with ZenUI on top. It features a 7-inch WSVGA (1024x600 pixels) resolution IPS display with anti-fingerprint coating and 178-degree wide viewing angle. It packs Intel's Atom Z2520 processor (1MB Cache, 2 cores, 4 threads, base frequency of 1.2GHz) coupled with 2GB RAM. You can click images with 8 megapixel rear camera and 2 megapixel front camera. Expandable memory is upto16GB via Micro SD card (up to 64GB). You can connect options on the Asus Fonepad 7 (FE171CG) include 3G, Wi-Fi, Bluetooth, and GPS/ A-GPS. The tablet packs a 3,950mAh battery, measures 110.6x196x7.9mm, and you should found in white and black colors options.